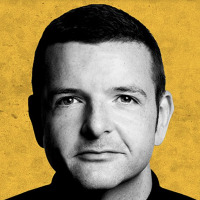 It's been an impressive 18 months for Scottish comedian Kevin Bridges - he was voted Best Newcomer at the Edinburgh Festival in 2009 and has won the Chortle Award for the 2010 Breakthrough Act, as well as currently embarking on an extended almost-sold out run in Edinburgh for the festival this year. You may have seen him on several TV slots such as Michael McIntyre's Roadshow, Have I Got News For You and Would I Lie To You - well from September onwards, you have a chance to see this engaging talent performing live in various towns and cities up and down the country. His observational wit can be witness from 18th September in Telford, Lancaster on the 19th etc, making various stops in Dundee, Farnham and Leeds until reaching London's Hammersmith Apollo on 10th Nov, Reading on the 12th, Coventry on the 14th and Lincoln on the 21st. Tickets vary in price - the Apollo gig in London is £22.50 plus fees and heralds his long-awaited return to this big venue. Other venues will be cheaper - Lincoln is £13.50 for example. Bridges then resumes on the circuit by playing a few more dates in December including Wolverhampton and Hartlepool. Well worth going to see.